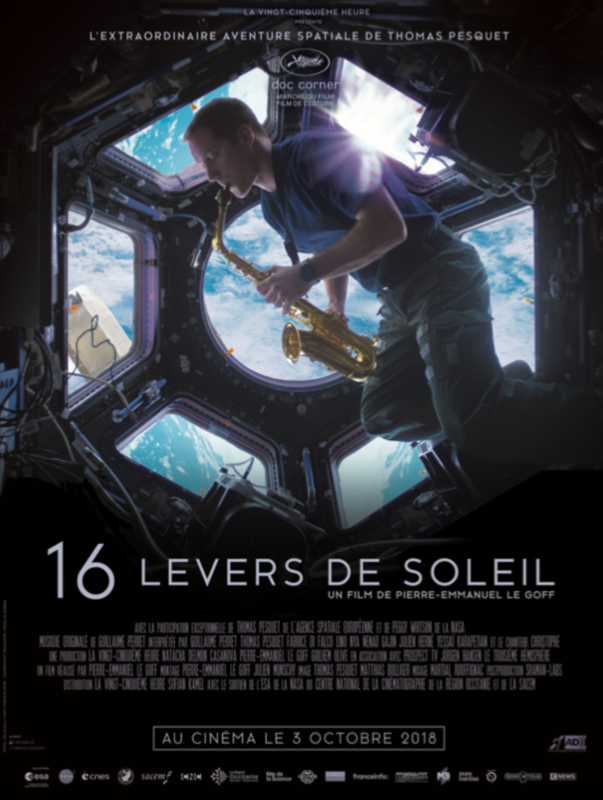 Pour le 39e anniversaire de Thomas Pesquet, célébré à bord de la station spatiale internationale, Philippe Geiss lui a envoyé un saxophone Selmer en collaboration avec l’Agence Spatiale Européenne. Ce saxophone tourne autour de la terre 16 fois par jour depuis cette date. Le film « 16 Levers de Soleil » retrace cette incroyable aventure. For the 39th birthday of Thomas Pesquet, celebrated aboard the international space station, Philippe Geiss sent him a saxophone Selmer in collaboration with the European Space Agency. This saxophone has been spinning around the earth 16 times a day since then. The film “16 Levers de Soleil” retraces this incredible adventure.